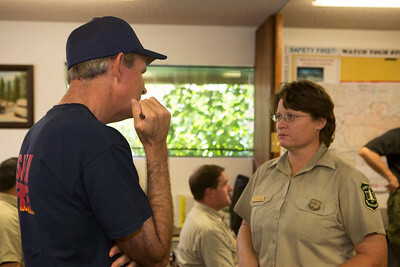 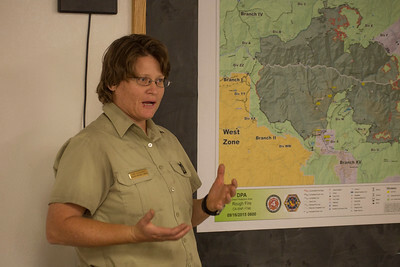 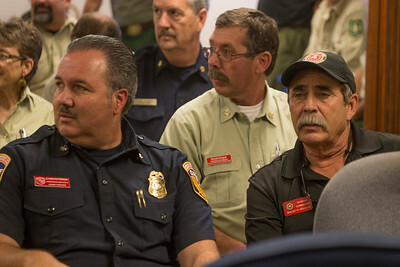 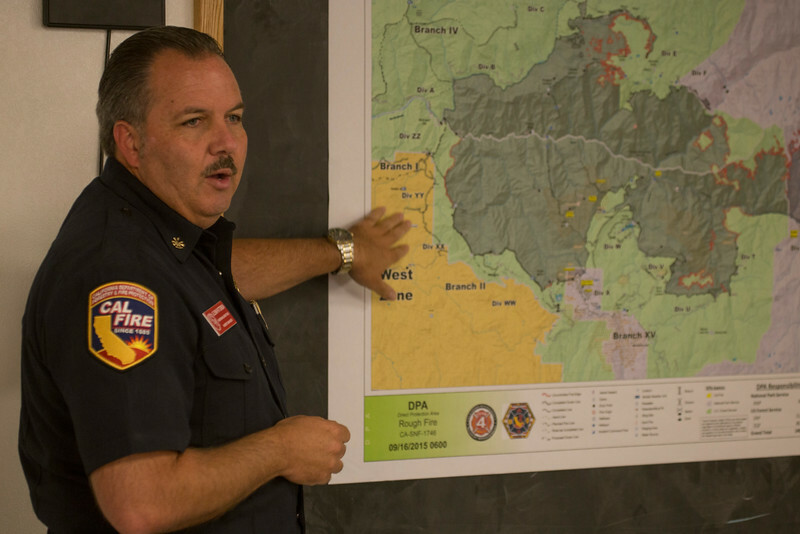 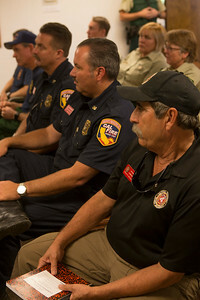 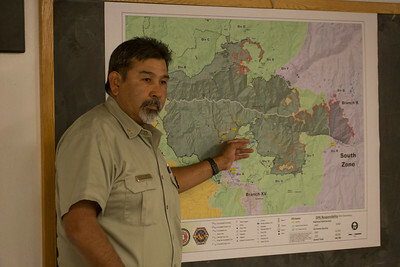 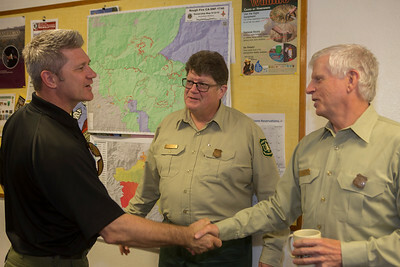 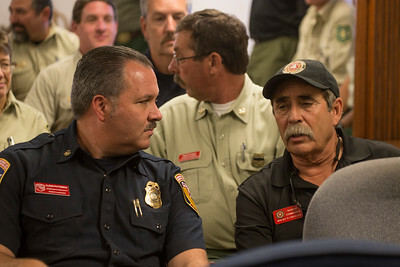 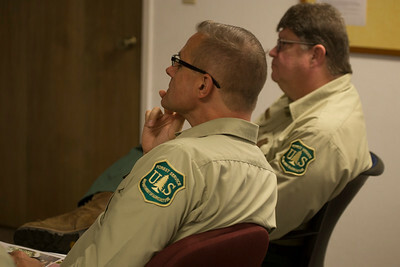 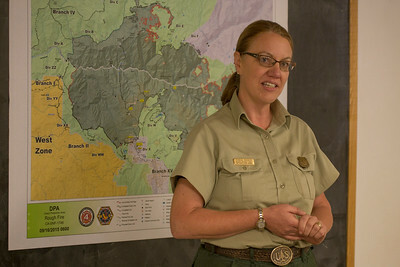 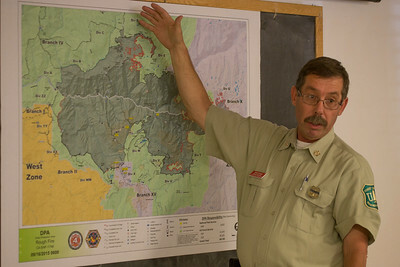 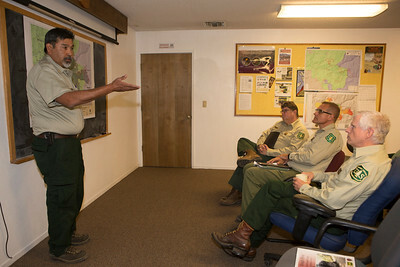 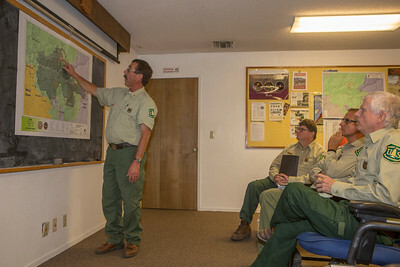 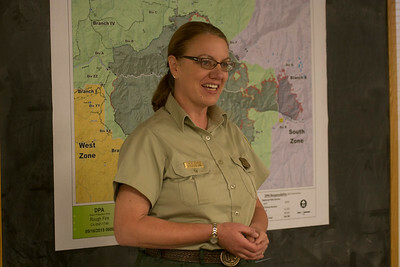 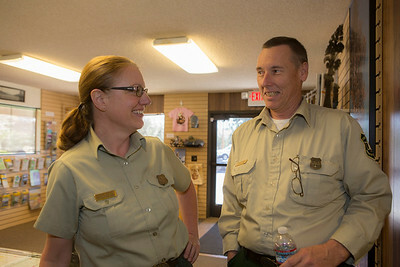 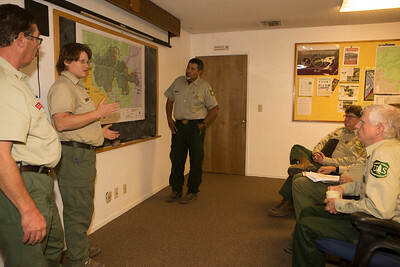 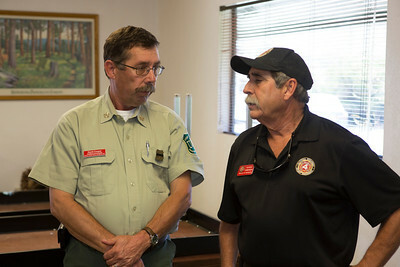 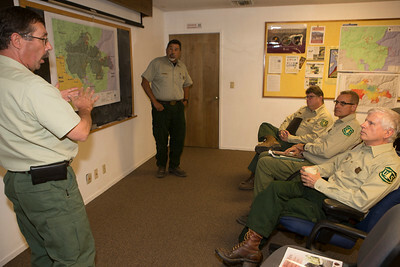 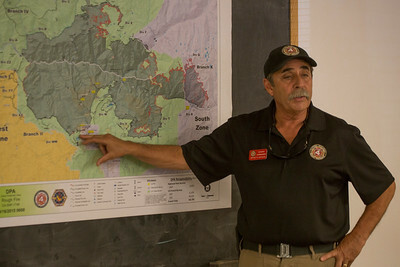 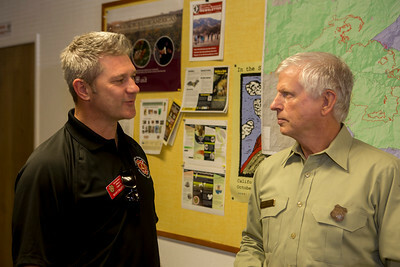 Chief Tidwell visits the Hume Lake Ranger District for a briefing from District Ranger Teresa Benson and the three Zone IC's: David Cooper (South Central Sierra Interagency IMT), Rocky Opliger (California Interagency IMT 4), and Glenn Patterson (Cal Fire IMT 2). 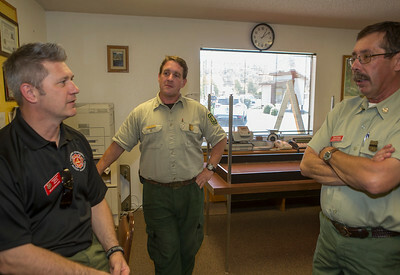 With Archaeologist Linn Gassaway, FMO Shelby Charley and FS Tribal Relations Specialist Dirk Charley; with PIO Sean Collins. 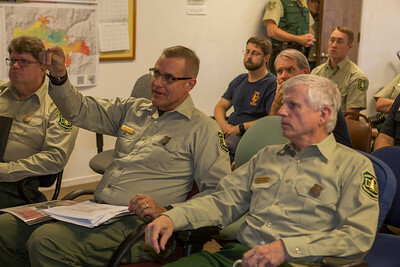 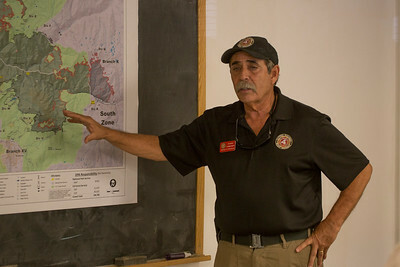 After the briefing there is a field visit overlooking King's Canyon with Sequoia NF Forest Supervisor Kevin B. Elliott, Sierra NF Forest Supervisor Dean Gould, and Sequoia & King's Canyon NP Park Superintendent Woody Smeck; with Forest Fire Chief Brent Skaggs and PAO Alicia Embrey. 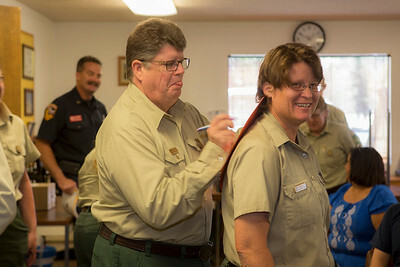 Afterward the Chief has dinner in camp.